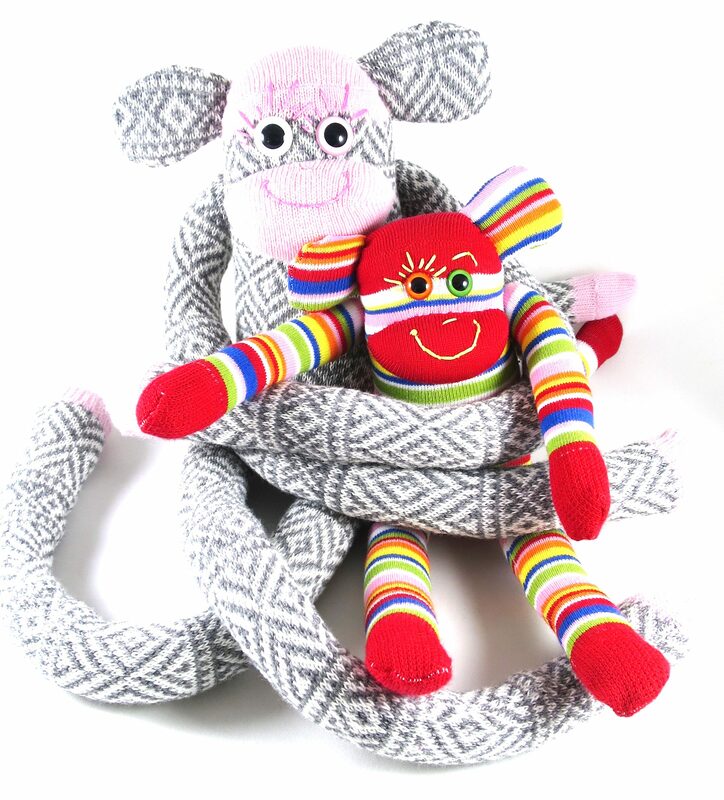 Gus and Ollie handmade toys and accessories are available online on ETSY. Just click on the Monkeys! Custom orders & commissions are welcome! Need something in your Team colours? Have a particular animal request? Would you like to buy one of my Monkey photos? I am happy to give anything a go! I can also email you sock options that match your criteria. You can then order before it is even made. Once you have chosen your custom made Monkey or Monster, I will set up a custom listing for you in my Etsy Shop and send you the link. I have flat rate ship worldwide and am always happy to gift wrap and send directly to the recipient, should you be buying for a loved one. I typed into google Aussie socks and saw a photo of the green and gold Aussie colour stripped socks & it bought me to your lovely page. I am after 5 pairs of green and gold socks for a groom and his ushers. Just wondering if you are able to do these? Unfortunately I don’t supply socks – and no longer have any of these in my supplies (which I would have gladly sent to you). I often find these long stripy socks at markets or in shopping centres – at the stands set up in the middle of where you walk between shops (if that makes sense?). Kind of like pop-up sock shops – with 1000’s of socks to choose from. I will be in Australia in July/August and would be more than happy to pick some up for you when I am there – if you don’t need them before then, so let me know.